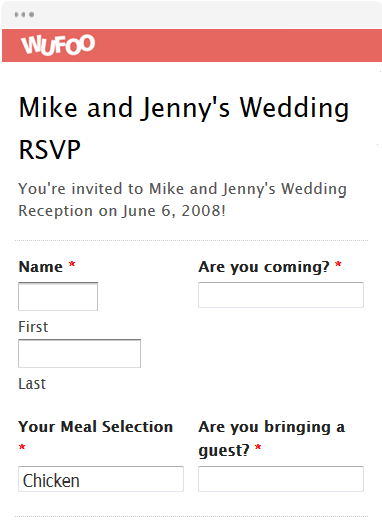 With a Wufoo online invitation template, you don’t need ninja coding skills. 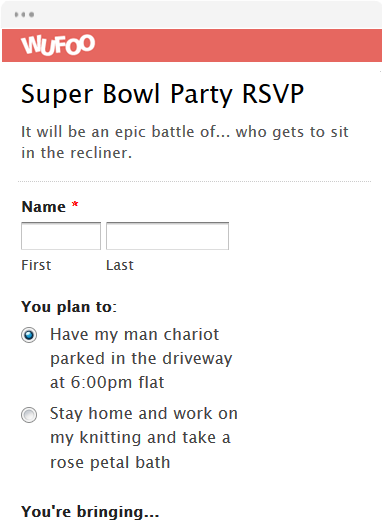 It’s as easy as dragging and dropping form fields into place on your website–really! 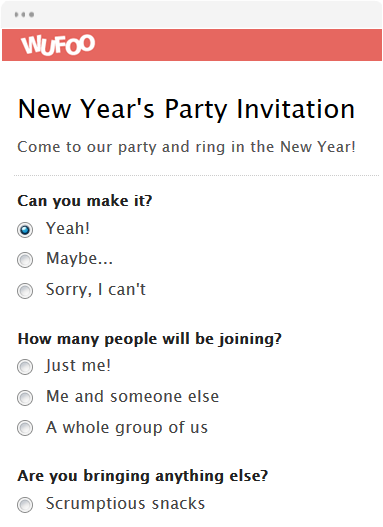 Customize our online invitation form to your liking, and gather all of the info you’ll need to plan your party. 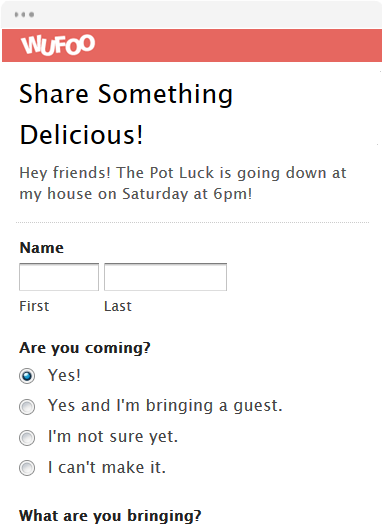 Find out how many people are coming or whether they’re planning on bringing a guest. 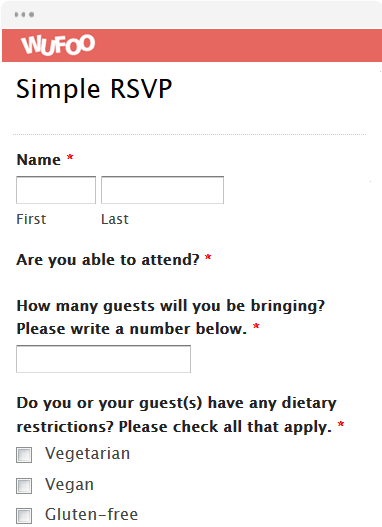 You can even include drop-down forms so people can choose what dish to bring. 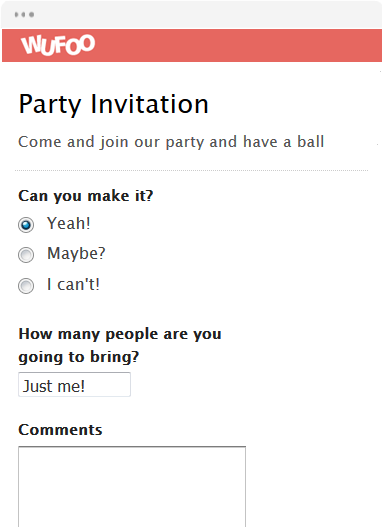 Organizing a party has never been easier–just grab one of our online invitations, and never worry about misplacing an RSVP again.